» Squint Eyes - Do Contact Lenses Help? A squint eye is defined as a misalignment of both eyes which do not look in the same direction. Mostly, a squinting eye may turn out, up, down or in. A squint may also happen with the normal eye in which both the eyes may squint alternately. Squints is more obvious when a person is either focusing on something close to him or when the person is very tired. It can also be visible all the time. What can Cause a Squint? As of now, the cause of squint is not yet known. It mostly happens when the eye muscles that control the eye movement do not work together or are not balanced. This happens when the muscles become weak, faulty brain or the way the muscles are positioned and nerve control. People who have a squint are mostly born with it. A hereditary link can also be a cause of this problem and it can also happen that no one in the family has a squint. Getting certain illness like chickenpox or measles during childhood can also be one of the reasons for squint eye. These diseases tend to weaken the muscles that control the eye movement, thus making the squint very obvious. 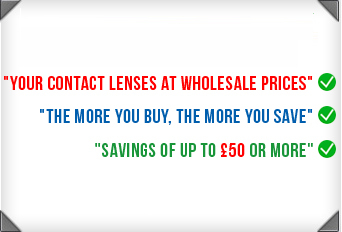 Glasses- They help to correct the squint which is caused by focusing on the correct long sight. Eye Exercise- This is to strengthen the eye muscles. Surgery- This is applicable only if the squint is large. Prism- Prisms are triangular transparent segments that are made within the lenses of spectacles. They help in reducing double vision by giving a movement to the images that is observed by the individual eye so that they can be combined together. Therefore, contact lenses are also designed in a similar way to correct squints. Surgery- Surgery is another alternate option to correct a squint.